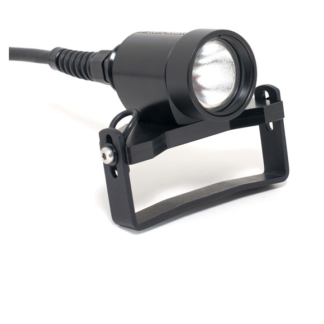 Arthur 4 W LED light featuring a tight beam with minimum light spill. 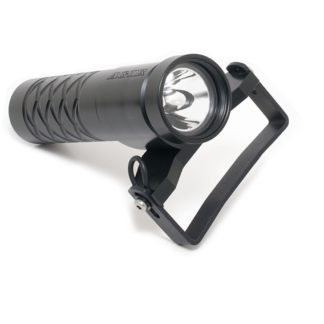 The Arthur 4 W LED light is our most popular handheld (backup) light. It outputs a tight beam with a minimum of light spill. The body is machined out of a single piece of delrin. 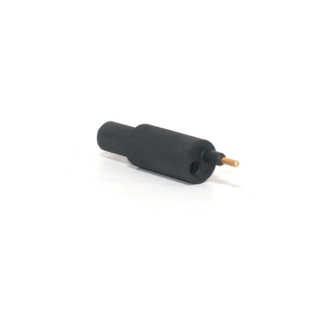 Delrin is lighter than (most) metals and does not conduct heat as much as metals, nor does it corrode or absorb moisture, which most other plastics do. 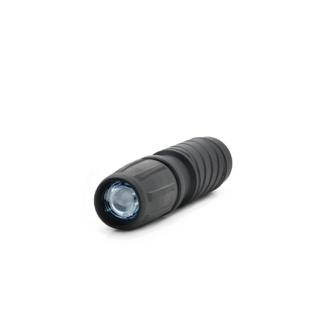 Delrin is also a very tough and hard-wearing plastic. 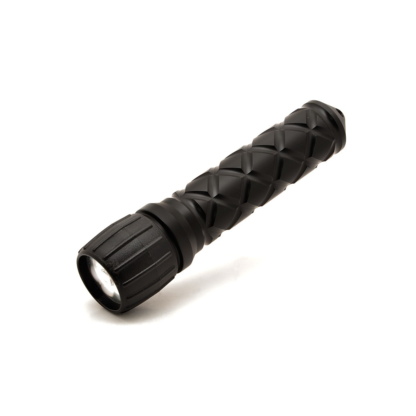 The handle has a grooved pattern to provide better grip. There is a hole at the back of the handle to attach a clip or lanyard. The light engine is enclosed in a rubberized bezel. 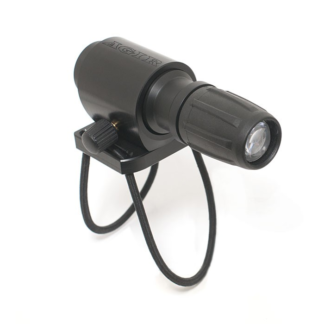 To turn on the Arthur 4 W LED light, turn the bezel clockwise. To turn it off, turn the bezel counter-clockwise. 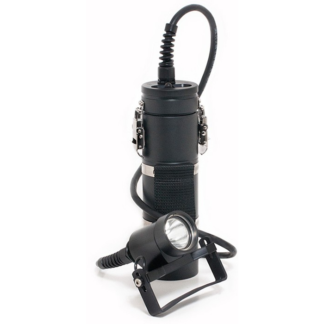 The Arthur 4 W LED light runs on three C cell batteries. 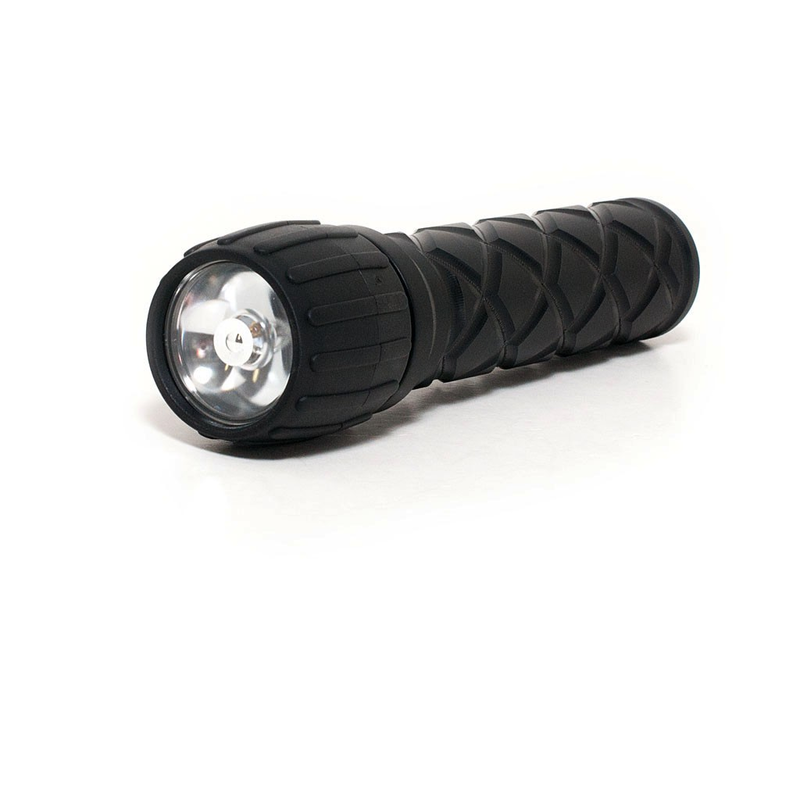 The Arthur 3 W LED light is an ideal backup light. 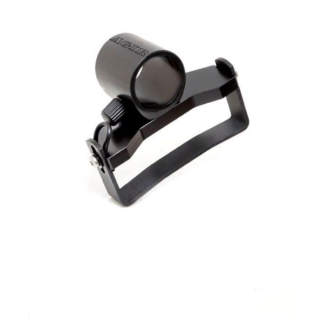 It sits perfectly on the right shoulder strap of your harness. 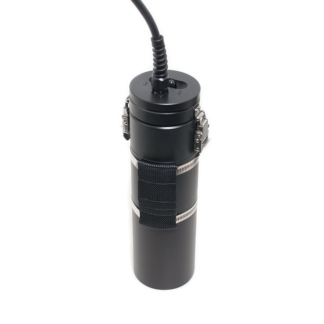 It is also great as a travel light, small, lightweight and capable. Standard, alkaline, C cell batteries can be found almost everywhere. Batteries: three C (R14) cells.